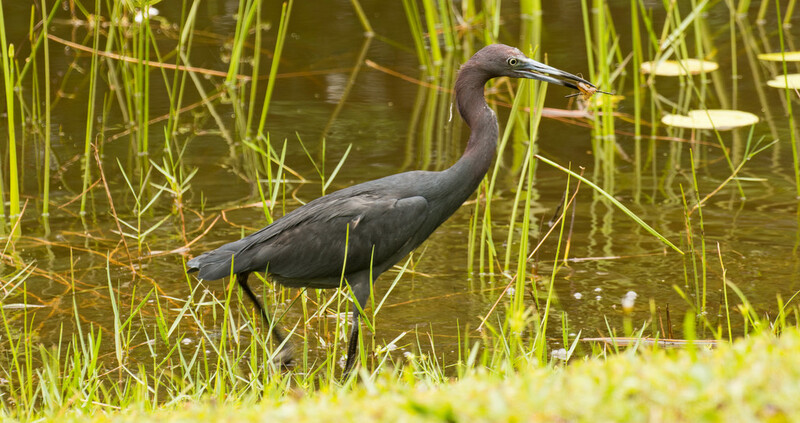 Little Blue Heron has Captured a Snack! Saw this guy as I was driving into the park today. Fortunately, no one else had turned in behind me so was able to get the camera out and fire off a couple of shots. Even got it with a shrimp or crawfish in it's beak. (Most likely a crawfish). Never would have thought there would have been crawfish in that little pond. A lovely capture and great focus, fav!